The question you need to ask is not "What can I do with a degree in Anthropology?" but "What is my dream job and how can a degree in anthropology help me get it?" 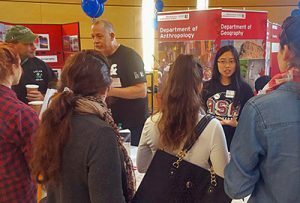 Investigate the variety of careers pursued by our alumni. 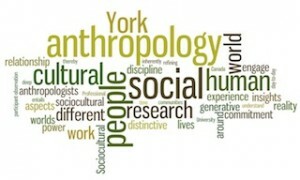 Anthropology offers students a program of study that begins with the premise that human beings not only act but also think about their actions, and gives them the tools to understand the relationship between these two aspects of behavior across the entire temporal and spatial range of human experience. Explore how people are subjected to, participate in, and contest the processes of living in a world that is interconnected by powerful economic, cultural and technological forces. Gain the tools necessary for critical analysis of our place in the social and cultural diversity of the world. Engage in topics such as development and the environment, media and culture, health and illness, gender and sexualities, religion and science, and displaced peoples. Learn to think critically about how concepts such as class, race, gender and ethnic identities are produced and expressed. Our goal is to prepare you to ask questions about contemporary, past and future social life. To simplify access to our course offerings, we list them by both course concentration and lecture schedule. Students are encouraged to take selections from a variety of these concentrations, or may wish to focus on only one or two streams, according to their own interests. Note that in the upper levels, courses overlap between course concentrations. For further information on grading, awards, etc. see our supplementary minicalendar. 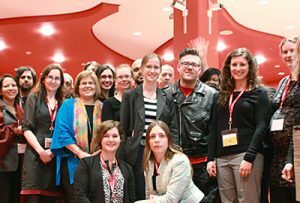 We are one of the largest graduate programs in socio-cultural anthropology in Canada. As a graduate student, you will be joining a dynamic program known for innovative research and theory integrating a diverse range of specializations not found at any other university. Read more about our graduate program.